The Weigel sisters, Louise, Estelle and Mary, were each athletically gifted in their own right. Mary, the youngest of the three, was regarded as one of the city’s foremost sportswomen. Her first venture into competition came at the age of four, when she became the star of the 1925 20th Century Club Swim Fest. In that competition she finished third in the Form Swimming category – back stroke, breast stroke, side stroke, and one dive. Her older sister, Louise, won top honors in her class of 14 and under mixed boys and girls, while Estelle finished first in form swimming. Daughters of William Weigel, the president of Iroquois Brewery, the sisters all-encompassing passion for skating led their father to build Buffalo’s first artificially made ice rink for the girls in the back of his brewery on Pratt Street. In order for his daughters to practice their more difficult moves and routines he rented ice time every day at the Fort Erie Rink. In the skating world the sisters brought national prominence to Buffalo in the “fancy skating” (figure skating) world, as well as to the Buffalo Skating Club. 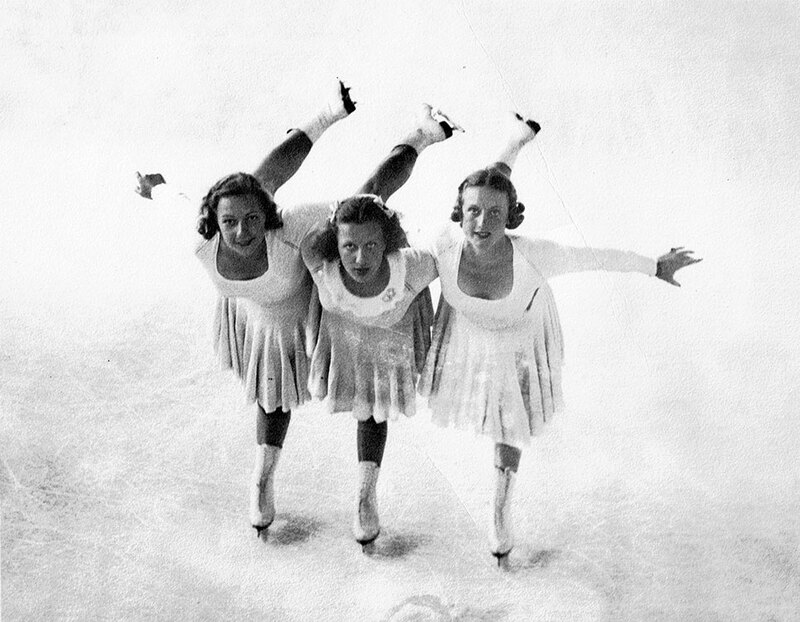 Throughout the 1930’s, the Weigel sisters were the perennial stars of the annual Buffalo Ice Carnivals. Louise was the 1932 National Junior Ladies Figure Skating Champion. In 1934 and 1936 she finished runner-up in the National Senior Ladies Championships, while finishing in third place in 1932, 1933 and 1935. The 1932 and 1935 finishes gave her berths on the U.S. Olympic team; she finished 14th in Lake Placed (1932) and 21st in the 1936 games. A news article said of Louise: “skating had become an almost constant occupation.” She skillfully mastered the Salchow jump, the rocker jump, the Haynes spin and a number of other difficult moves. Middle sister Estelle was the 1933 National Junior Ladies Champion as well as a member of the 1936 Olympic Team at the Garmisch-Partenkirchen, Germany games where she finished 22nd. In 1935, Mary took honors as the National Novice Ladies Champion. The sisters’ hopes and dreams in the world of figure skating came crashing down in 1936 with the collapse of the Fort Erie Arena during the record setting St. Patrick’s Day blizzard. After the collapse of the arena, Mary concentrated on other sports, being an expert swimmer, golfer, and competing in numerous horse shows at the Saddle and Bridal Club. Her untimely death from pneumonia in 1941, two months before her wedding day, at the age of 21 left a lot of what could have been for the young sportswoman. Louise would retake up skating at Ice Carnivals after her marriage to Edward Atwill, Vice President of Iroquois Brewing. Estelle however would go in a different direction, becoming a noted Buffalo equestrian. Following her marriage to Peter J. Schmitt, president of the Peter J. Schmitt grocery wholesale company. She competed all over the United States, riding three and five gaited horses. Her most memorable events were held at Madison Square Garden. Estelle competed in the International Horse Show at the Buffalo Saddle and Bridle Club every year from 1946 through 1965. In 1966, too ill to compete, she watched as three of her horses swept all the gaited classes in the event. She passed away in 1967.